Motorcycle CBT, DAS Training, Warrington, Manchester, Liverpool. Motorbike CBT and DAS training. 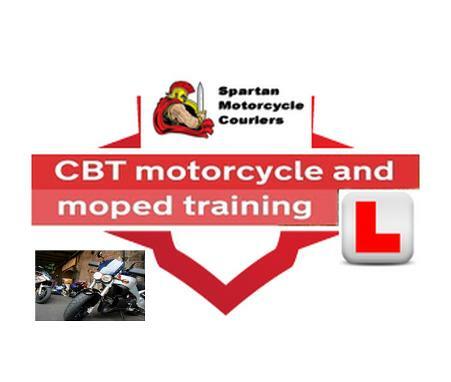 Spartan Motorcycle Couriers will be providing professional CBT and DAS training by qualified instructors in the Warrington, Liverpool, Manchester, Merseyside and Cheshire areas. All of us at Spartan Motorcycle Couriers are advanced motorcycle riders. We are qualified motorcycle trainers, so in the near future will be running CBT ( Compulsory Basic Training ) courses, DAS ( Direct Access Scheme ) courses, and a post test training course to sharpen and enhance your riding skills. Our experience and knowledge is second to none and along with fantastic tuition, you can pass your motorcycle tests with sustainable life skills, greater safety and genuine road-craft. We will be making the courses as enjoyable as possible and will go out of our way to put the most nervous person at ease and give them the confidence to pass first time. Our intention is to ensure our students leave us happy, confident and looking forward to years of riding a motorcycle on the road. We operate from Warrington, Cheshire, and provide CBT and full licence courses. If interested please fill out an enquiry form with your contact details. We'll contact you when we are going to start the training with prices. All rights reserved. Spartan Motorcycle Couriers.2013.